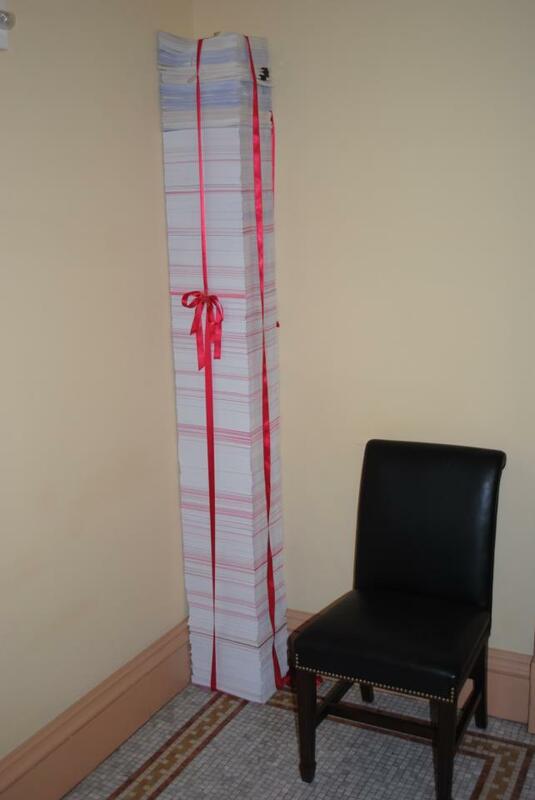 And this is a fact, as of March 13, 2013 these are just the Obamacare regulations, over 20,000 pages (photo below). The tax code is over 60,000 pages. Apple founder Steve Jobs, according to his book, told Obama that government has rendered it almost impossible for him to build a factory here in the United States, which is why he builds them in China. This very writer has a dear friend who runs a small business with less than ten employees. He tells me of the constant efforts by state and federal bureaucrats to put him out of business. This entry was posted in Budget, Corporatism, Dirty Tricks, Gangsta Govt, Health Law, Obama, Pay to Play, Taxes, Treason, True Talking Points and tagged advertising, business, economy, government, internet, politics. Bookmark the permalink.